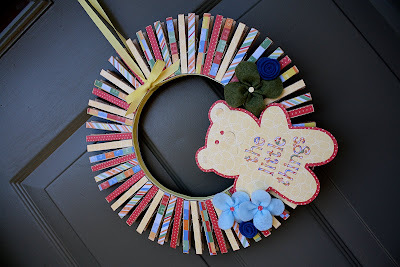 I've been wanting to make a Clothespin Wreath, ever since I saw one last year around this time, somewhere in Blogland. And since a friend of mine recently opened a Children's Consignment shop, I thought that was the perfect reason to do so. She needed something pretty to hang on the door. Now, the Inspiration Wreath used an Embroidery Hoop as it's center base. I didn't have an Embroidery Hoop, so I had to improvise. 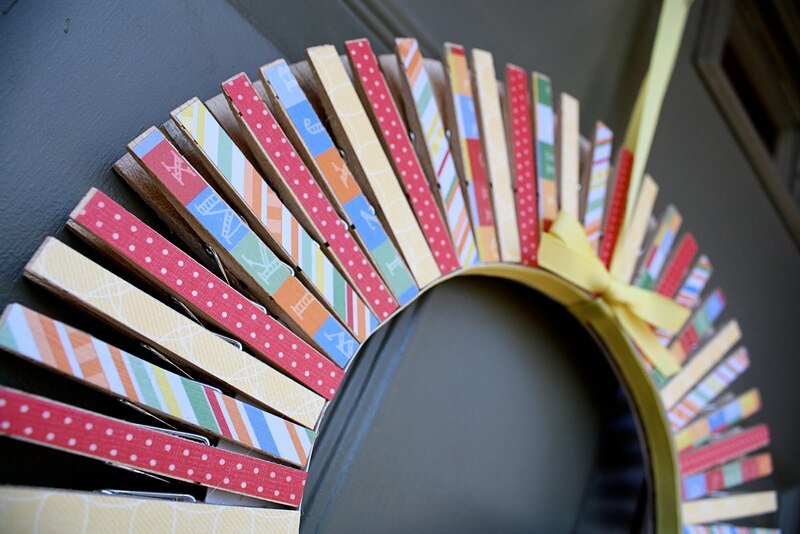 I used a 1/2" piece of poster board with 3/8" grosgrain ribbon glued to it. Being that it was for a children's store, I used four different papers in subtle primary colors. 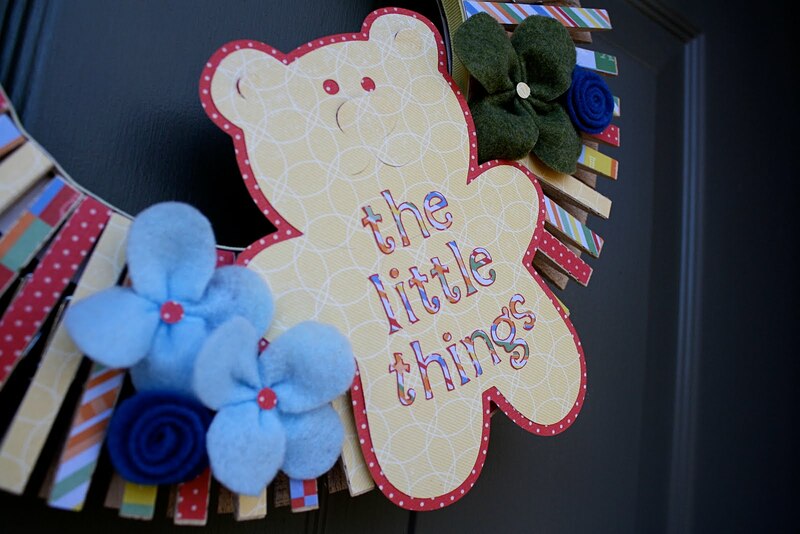 The Teddy Bear is from the Cricut cartridge "Doodlecharms". The felt four-petal flowers are from a tutorial I found on Pinterest (so addicted). I adhered the paper to the clothespins using Modge Podge. 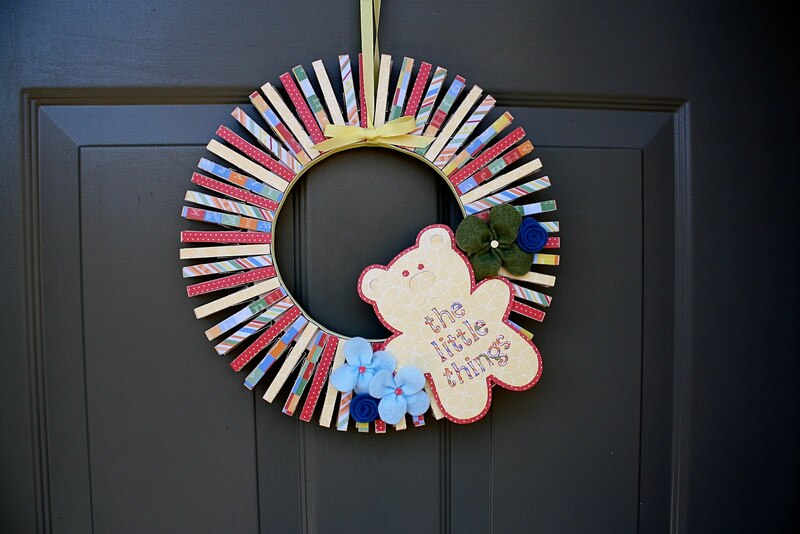 Cute and Simple... Perfect for my friend's Shop. BTW, I haven't forgotten about wanting to do something to Celebrate the fact that I now have 200 followers - actually, Now, I'm up to 206. I think I know what I want to do, but will probably wait until after the first of the year... so stay tuned!